Cash WinFall was introduced in 2004. Every three months or so it became highly profitable for some syndicates. Sullivan’s report details the way a handful of math and science wizards, including Massachusetts Institute of Technology undergraduates looking for an interesting school project, turned Cash WinFall into a nearly full-time business, spending $40 million on tickets over a seven-year period and winning an estimated $48 million. “I feel it is important to essentially apologize to the public because a game was created that allowed syndicates to gain special opportunities that others did not have — using machines themselves, partnership with lottery agents, using them after hours. We’re sorry some gained unfair advantage,” said Grossman, who had requested Sullivan’s investigation. Some of the 1.2 million Massachusetts Cash WinFall lottery tickets, stored inaMichigan barn by a betting group. However, the inspector general recommended no further action, concluding that lottery officials got no personal benefit from the syndicates’ manipulations. He also found that ordinary gamblers still had a fair chance at winning Cash WinFall, though the syndicates reported a much higher rate of profit than ordinary gamblers. The Globe reported last summer that a few gamblers with an extraordinary knowledge of math and probability had found a quirk in Cash WinFall shortly after it was introduced in 2004, allowing them to make an almost guaranteed profit as long as they purchased enough tickets at the right time. 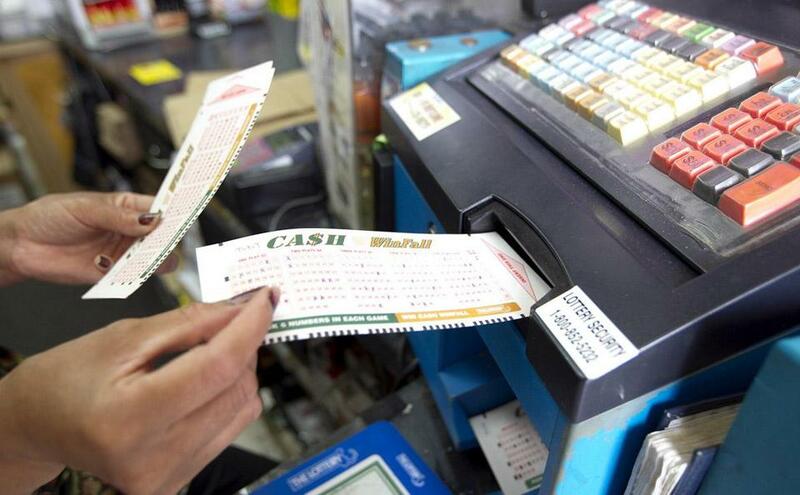 They figured out that, for a few days every three months or so, Cash WinFall became the most reliably lucrative lottery game in the country. Sullivan said that these high rollers made a livelihood from playing it, giving up their day jobs to devote nearly full-time to the game, often backed by hundreds of thousands of dollars put up by investors. The leaders of the group of MIT students stumbled on Cash WinFall as part of a college research project. James M. Harvey told investigators he was looking for an interesting senior independent study subject for his final semester in 2005. He said it took only a few days to determine that during so-called rolldown weeks, it was easy for large-scale bettors to win more than they lose. Here’s why: Unlike most lottery games, the biggest prize in Cash WinFall was capped at $2 million. If no one won the jackpot when it reached $2 million, the jackpot was then redistributed — or “rolled down” — into the smaller prizes, making them 5 to 10 times bigger than normal. Matching 5 of the 6 numbers drawn in Cash WinFall would normally produce a $4,000 prize, but during a rolldown week, the prize could top $40,000. The groups figured out that if they bought at least $600,000 worth of tickets, the chances were excellent that they would win back 15 percent to 20 percent more than they spent. As a result, whenever the Cash WinFall jackpot got close to $2 million, the syndicates rushed to stores to buy as many tickets as possible. Harvey said he initially tried the game on a small scale during the Feb. 7, 2005, rolldown, winning $3,000 from $1,000 worth of tickets. The group’s winnings inspired other betting pools on the MIT campus, the report said, but Harvey made it large-scale, forming a company with fellow student Yuran Lu. They called it Random Strategies Investments, after the dorm, Random Hall, where their plan was hatched. Random Strategies officials spent many hours filling out betting slips and buying tickets at a few hand-picked stores, the report said, betting between $17 million and $18 million over a seven-year period on Cash WinFall. Sullivan estimated the group earned at least $3.5 million in profits from 2005 to 2012, though Harvey declined to disclose his group’s earnings. Leaders of another group, GS Investment Strategies of Michigan, told investigators they typically aimed to buy around 312,000 tickets to ensure profits. 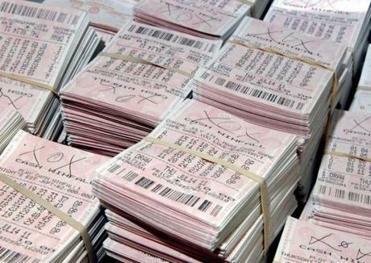 On July 14, 2011, the group placed its largest bet ever, spending $720,000 on 360,000 tickets. A third group, made up of scientists at Boston University and Northeastern University, started betting in 2005 after analyzing Cash WinFall and realized the odds were in favor of large-scale bettors. “I told everyone I met: ‘You should put more money into this game’,” said Dr. Ying Zhang, who formed the Doctor Zhang Lottery Club Limited Partnership. He told investigators the group made steady profits from Cash WinFall from the beginning, just as his calculations had suggested. In 2006, he left his day job as a biomedical researcher to focus mainly on Cash WinFall. The game’s vulnerability became clear in 2010, Sullivan said, when the MIT group figured out a way to win nearly the entire jackpot for a single drawing, something lottery officials had erroneously concluded was impossible. The MIT group figured out that, if it bought enough tickets, it could push the jackpot to $2 million and trigger the rolldown all by itself. In August 2010, the group began quietly buying up enough tickets to force a rolldown. The lottery remained silent as the MIT group stockpiled 700,000 tickets and did not alert the public that a rolldown week was about to happen, as it normally does. The MIT group bought more than 80 percent of the tickets during the August 2010 rolldown, Sullivan found, and ultimately cashed in 860 of 983 winning tickets of $600 or more. Lottery officials previously told the Globe that they had no way of knowing what the MIT group was up to, but Sullivan concluded that was untrue. He found that the lottery knew the MIT group was buying up hundreds of thousands of tickets, because the lottery had to approve extra ticket sales for the stores the MIT group frequented. The lottery’s finance department, which approved the extra sales, failed to notify other lottery employees whose job was to predict jackpots for the public. The inspector general faulted the lottery for not notifying the public, noting that the agency had been caught off-guard by the MIT group — even though the group had been preparing for a forced rolldown for years before it carried one out. Sullivan concluded the lottery was aware of the gamblers’ activities as far back as 2005 and cracked down only after officials feared negative publicity. For instance, in April 2010, compliance officer John Marino visited the two Western Massachusetts stores where the Michigan group routinely spent hundreds of thousands of dollars during rolldowns — and found no problems. “Everything is very organized and runs smoothly,” wrote Marino, who mentioned that the owners of both stores were part of the Michigan betting club. The lottery even placed a second Cash WinFall machine at both Billy’s Beverage of Sunderland and Jerry’s Place in South Deerfield, allowing the gamblers to process more bets faster. After the Globe reported on the syndicates’ takeover of Cash WinFall last July, Grossman disciplined the owners of the two stores that had allowed the Michigan group to run the ticket machines themselves, and restricted the number of tickets any store could sell in a day, essentially ending the groups’ dominance. The game was phased out earlier this year. “I see this as a teachable moment, to send a message to our customers that the integrity of the lottery is of paramount importance,” said Grossman.